You'll be responded within 24 hours. Manage, transfer, backup all your data on your Android & iOS devices. One Click Phone to Phone Transfer All Files. 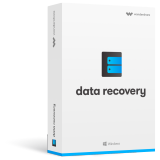 Wondershare Data Recovery is a safe and effective data recovery software, which serves over 5 million users all around the world now. With 10+ years of experience in providing people top-ranked software and services, Wondershare has been dedicated to serve 50,000,000+ users. Wondershare Data Recovery got over 500 reviews and recommendations from YouTube, PCWorld, Lifehack, PC-Tablet, softonic, AndroidPIT, PCWELT, TopTenREVIEWS and more. Wondershare Data Recovery won't keep, modify or leak any data on your device or in the backup file. We take your personal data and account seriously. You're always the only person who can access it. Wondershare Data Recovery provides you an easy, fast and legal way to recover all lost files on all types of Computers, Hard Drives, Flash Drives, Memory Cards, Smartphones, Cameras and Camcorders,and other storage devices. You can finish the whole operation even with no tutorial. All types of storage devices with the file system NTFS, FAT16, FAT32 or exFAT are supported. 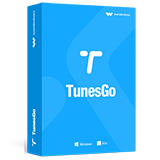 All logos, splash screens, page headers, images and graphics displayed on this Site are service marks, trademarks, and/or trade dress (collectively, "Marks") of Wondershare or its third party licensors.. Except as expressly permitted herein, using, copying, transmitting, displaying, modifying or distributing any Marks in any form or by any means without the express written permission of Wondershare is prohibited and may violate the copyright, trademark, privacy or other laws of China. You agree to defend, indemnify and hold wondershare, its affiliates and their officers, directors, agents and employees harmless from and against any and all claims, losses, damages, liabilities, costs and expenses, including attorneys' fees, arising from or related to your user content, use of the Site, or violation of any of these Terms. 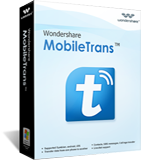 Any authorized reproductions of any of the information contained herein must include copyright notices, trademarks or other proprietary legends of Wondershare Software, on any copy of the materials made by you. The license for the Software and use of this website is governed by the laws of China and the laws of your country. What Are the Limits of Trial Version? The trial version has all the features of the full version, but the total size of the recoverable files is capped at 300MB (Windows Version). There is no limit for the full version. You can proceed with the trial version by clicking on "Free Trial". How Do I Know if Data Recovery Support My Device? Wondershare Data Recovery supports all types of computer, hard drive, flash drive with the file system NTFS, FAT16, FAT32 or exFAT.